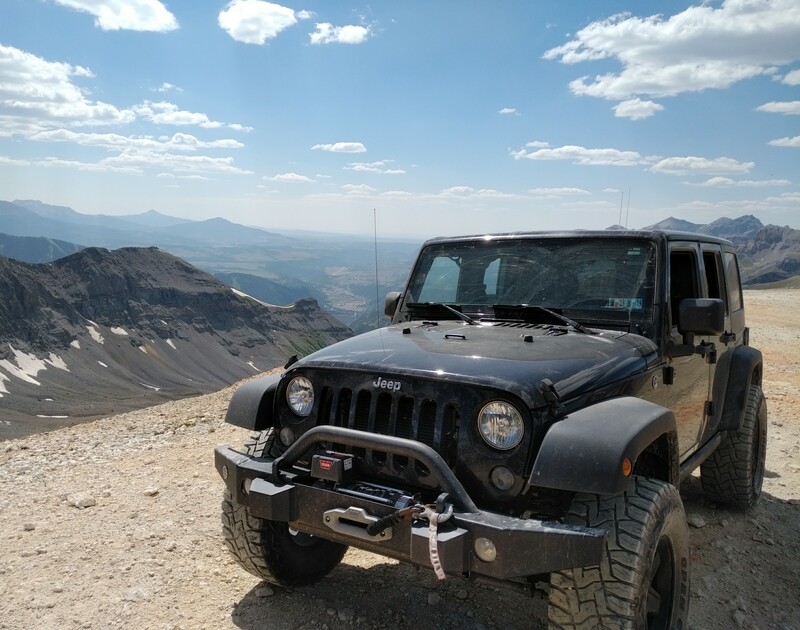 Imogene Pass is a 13,000 foot high mountain pass between Ouray and Telluride Colorado. This is one of the best off-road options for a variety off-road driving skill levels and features amazing views. The compete trail is 17.5 miles and the less technical side is between the Pass and Telluride.